From architecture student at Cornell, to renowned chef showcasing his work at globally known events, Chef Arturo Paz is one interesting guy. He brings his unique talents to the sands of South Beach on Saturday, October 20th for the award-winning South Beach Seafood Festival! Born and raised in Puerto Rico, Paz was accepted to Cornell University at the age of 17. The cold weather, however steered him away and led him to explore other options, which would later turn out to make him the man he is today. Unable to sustain the freezing temperatures, and we don’t blame him; he decided to transfer to Tulane University in New Orleans. That move would then propel him to working at some of the most famous New Orleans’ kitchens. Architecture student during the day, and cook during the nights, Arturo Paz continued developing his passion for the culinary world. After a few years working in architecture, he decided to go back to school to become a Chef. Graduating from Johnson and Wales in 1993, Chef Arturo Paz continued exploring new opportunities to grow. 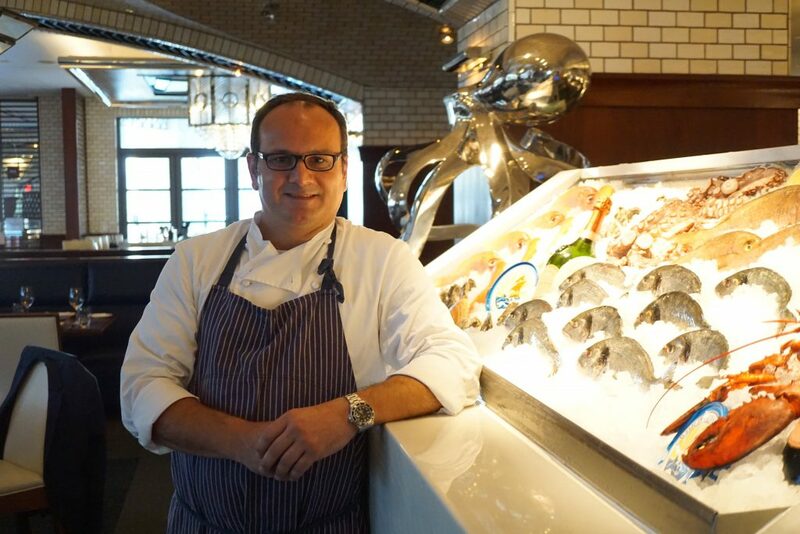 He is now the Executive Chef at Lobster Bar Sea Grille. This year we had the opportunity to visit the hit venue and talk to the chef about the upcoming Sobe Seafood Festival taking place in October. This year will be his second time participating. His world-famous dishes and are going to blow everyone away! Event-goers will be able to savor their signature dishes, such as the grilled octopus and lobster morsels. South Beach Seafood Week takes place from October 16 – 20 and, TRUST US, you DO NOT want to feel any FOMO later on…so buy your tickets while you still can. Use our code MIAMITIMES to save 20% on your tickets here!